This recipe is from the book “Useful Tips For The Young Female Worker” published in the USSR in 1959. 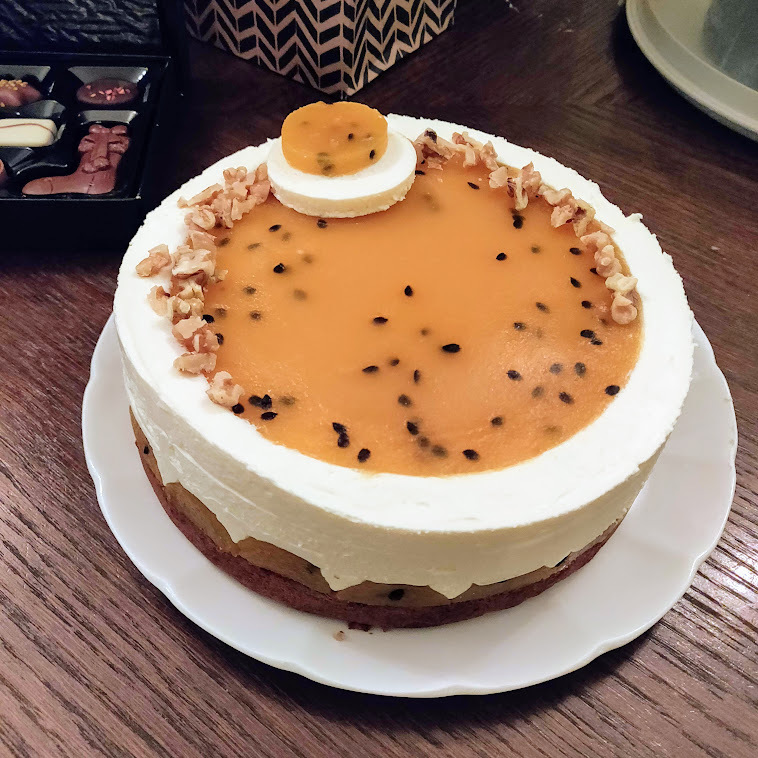 A light mousse cake with tropical flavours of mango, passion fruit, pineapple and banana. Contains nuts for a little extra crunch.